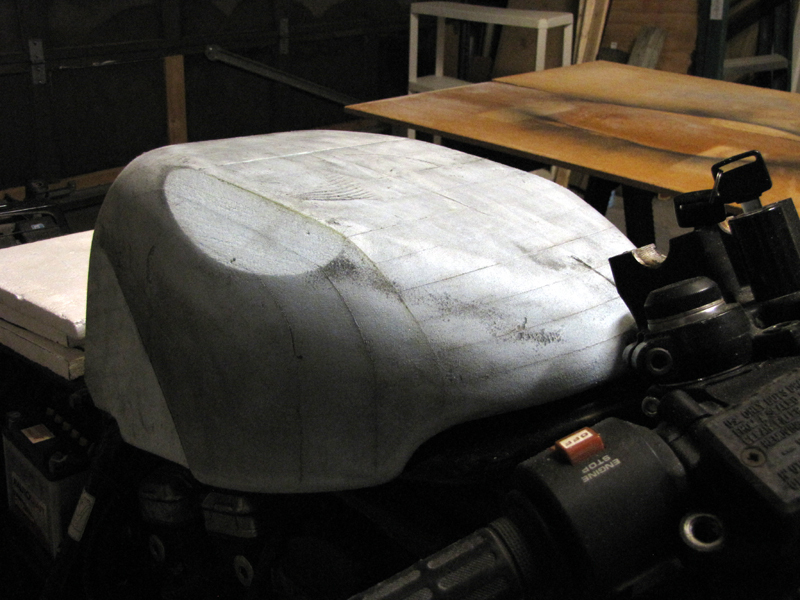 This week I made great progress on the fuel tank. 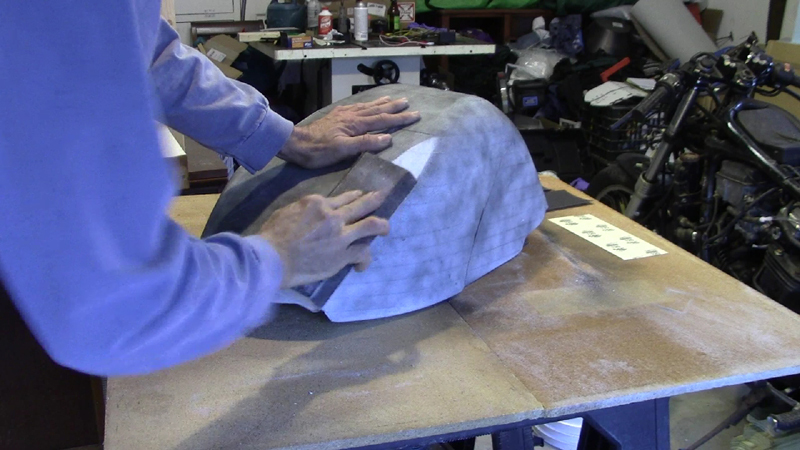 I really like how it’s taking shape and I’m enjoying the sculpting process. I used some black spray paint as an indicator for the contours.